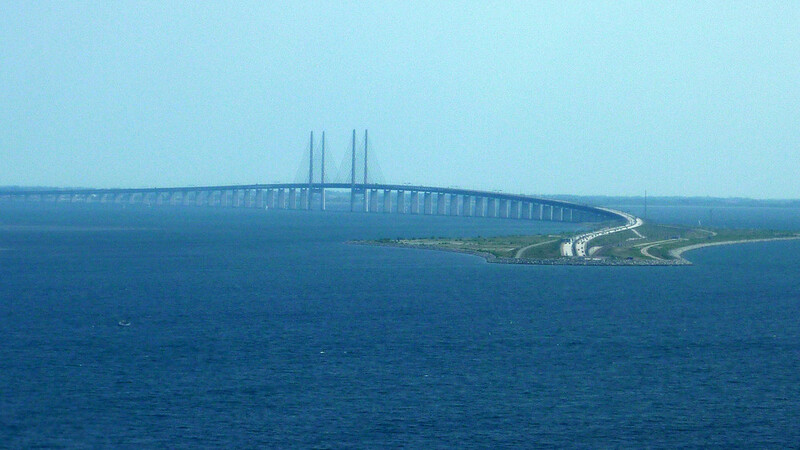 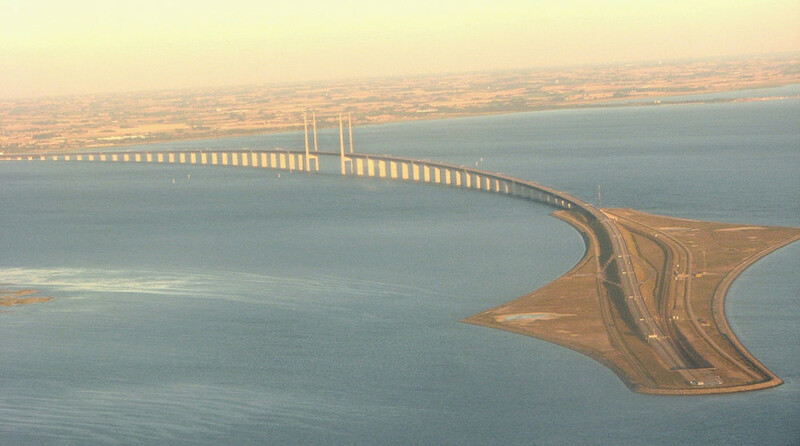 The Øresund Bridge opened on 1 July 2000. 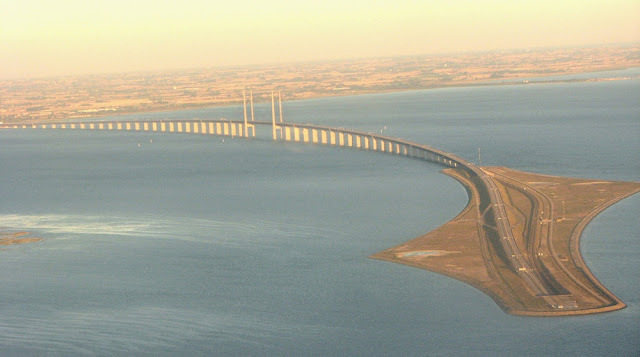 Queen Margrethe II of Denmark and King Carl Gustav XVI of Sweden travelled by train from their respective countries to its centre, together with their Prime Ministers and other dignitaries. 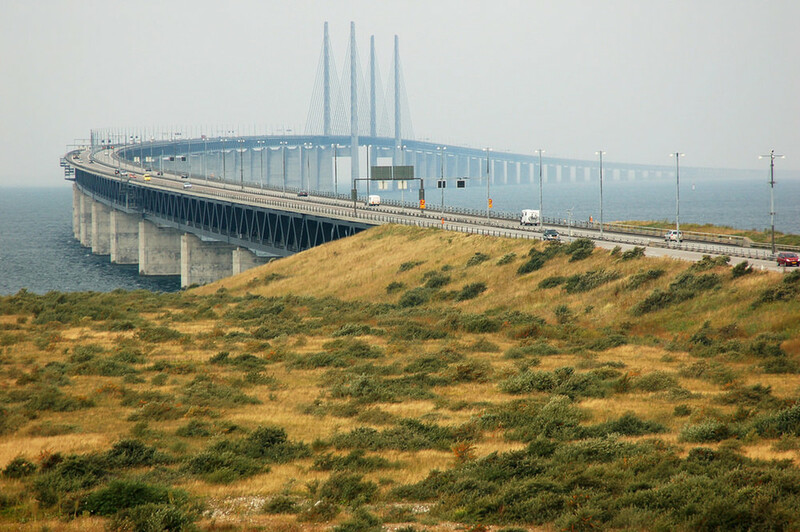 Here the trains were linked before bringing the party to the opening ceremony at Lernacken on the Swedish side. 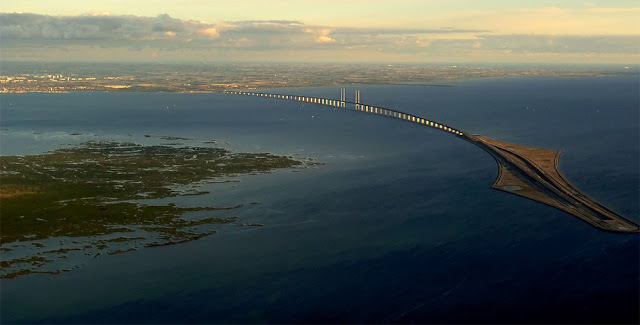 The Øresund Bridge is the longest cable-stayed bridge in the world which carries both rail and road traffic, and connects the Danish capital Copenhagen to Malmö in Sweden. For the first time ever, Sweden is joined permanently to the mainland of Europe. 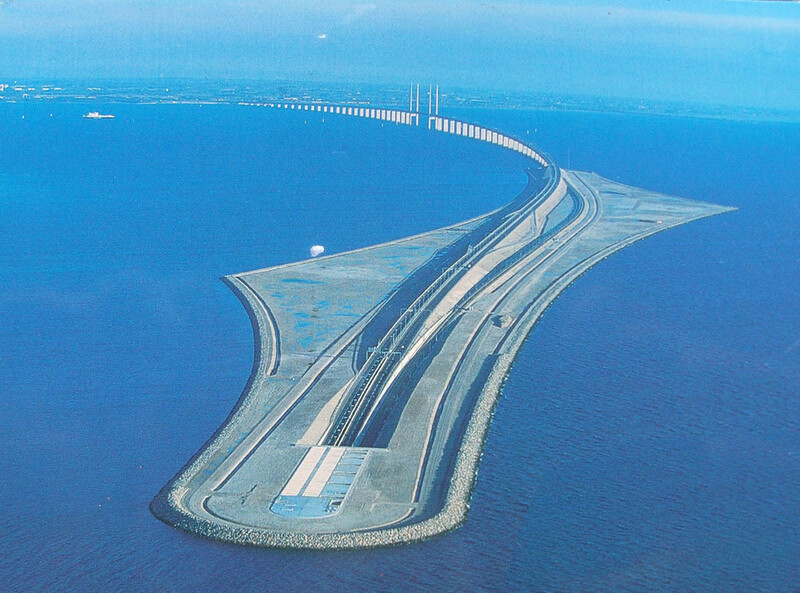 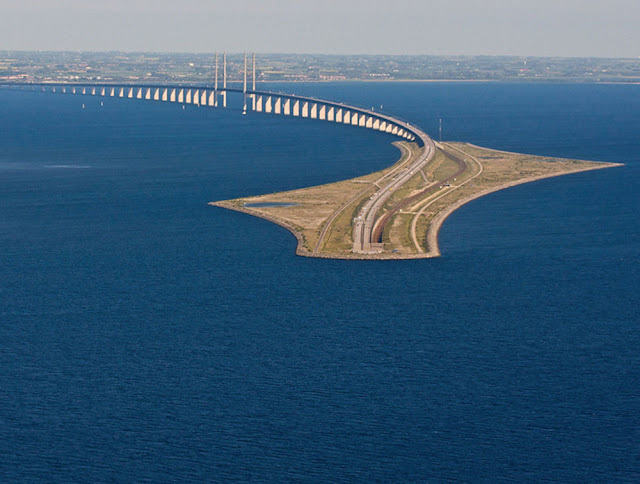 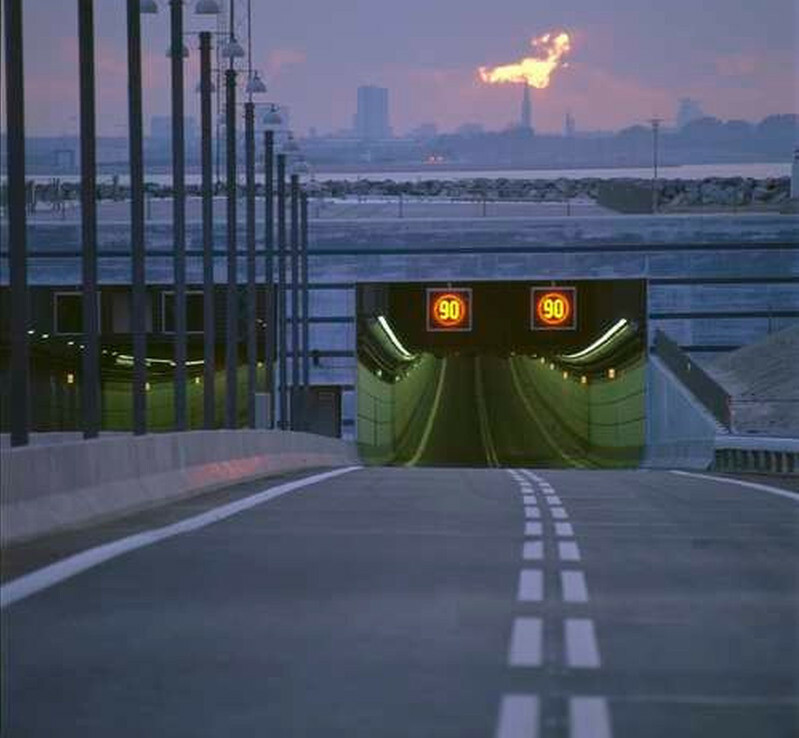 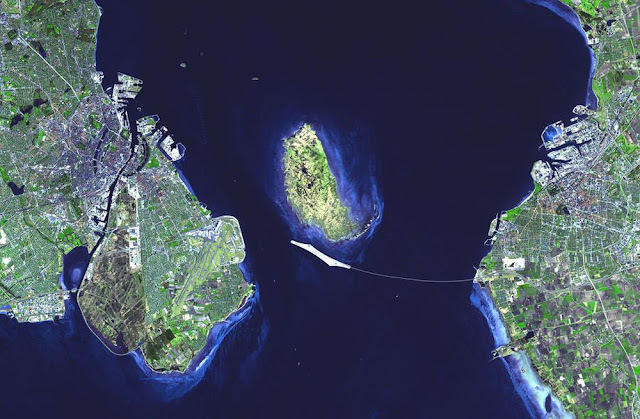 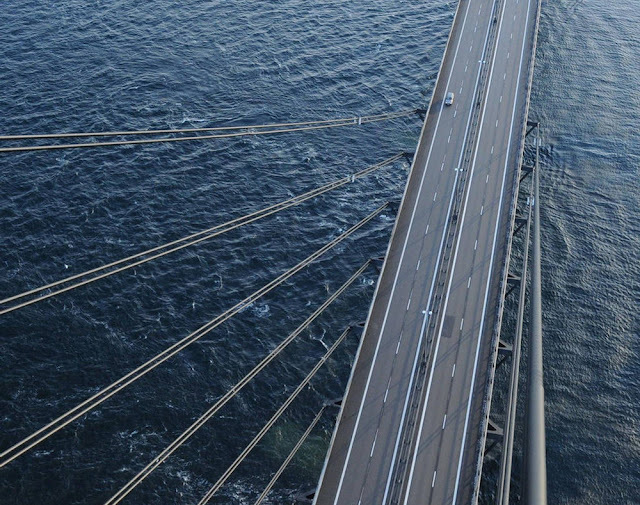 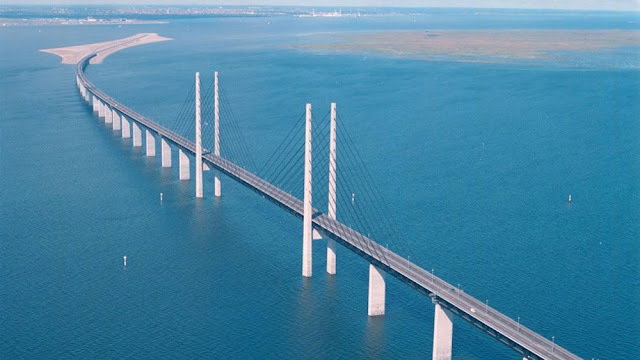 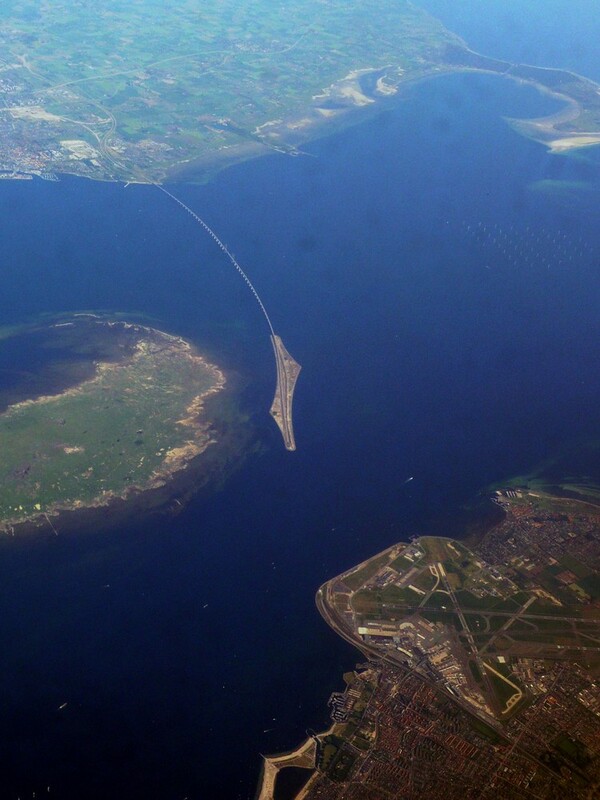 Up to now the link has been known as just that - the ‘Øresund Link’: 8km of bridge and 4km of immersed tunnel, joined by a 4km long artificial island - but its recent renaming as the Øresund Bridge reflects the visual impact of what now stands in the waters between Sweden and Denmark. And its cultural and economic effects are even more far-reaching. 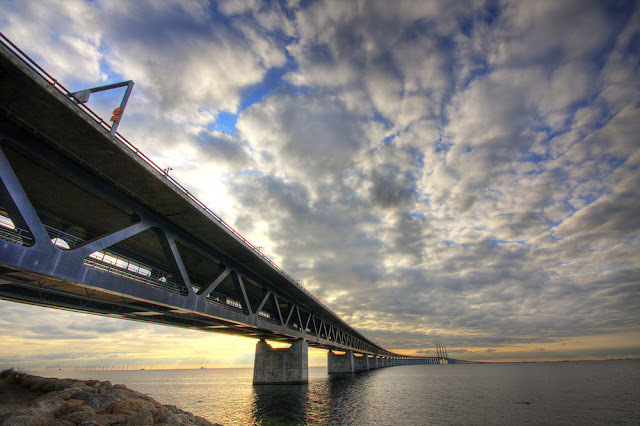 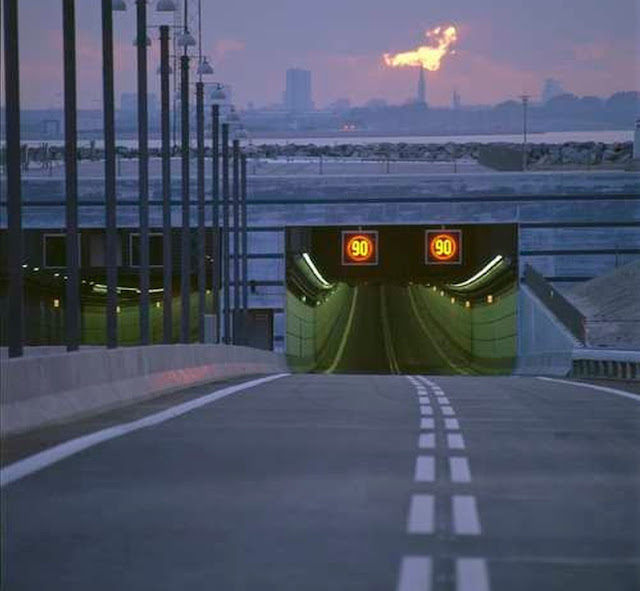 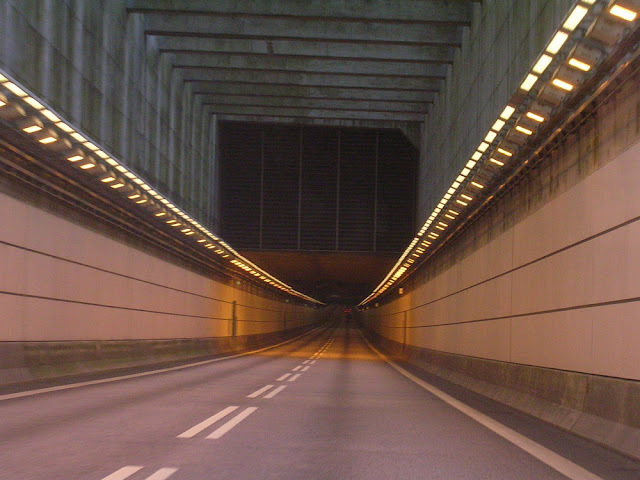 It reduces the journey time between the two countries to a 10-minute drive or train journey, in effect joining the capital city of Denmark, Copenhagen, with Sweden's third city, Malmö.